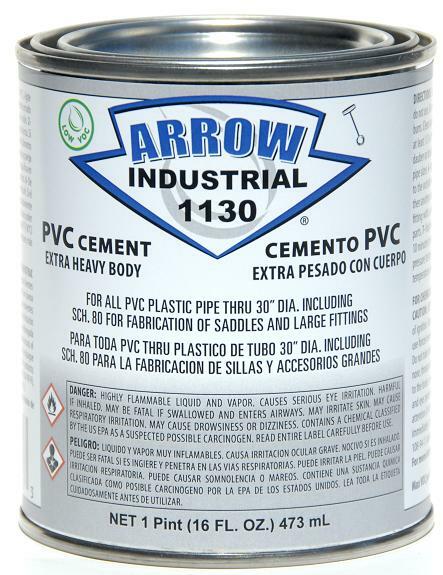 1130 is an industrial strength, extra heavy bodied, slow setting PVC cement for use on all schedules and classes of PVC pipe and fittings up to 30” diameter with interference fit (including Schedule 80). Excellent gap filling properties and ideal for fabrication of large diameter applications. Meets applicable performance standards in ASTM D 2564, the Uniform Plumbing Code, NSF/ANSI Standard 14 and NSF/ANSI Standard 61. 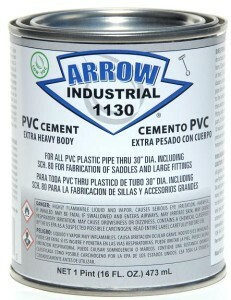 Premium PVC cement specifically formulated to provide gap filling properties for large diameter piping systems. Slow set time allows for application on large diameter pipe in hot weather.